Born into poverty, brutalised and ignored by her family, it is only when she is married off to a nobleman that her life undergoes a transformation, as her husband recognises in Rosamund a magic she does not know she possesses but which affects almost all who encounter her. Presiding over a luxurious chocolate house where men go to be seen, exchange news and indulge in the sweet and heady drink to which they have become addicted, Rosamund feels blessed. 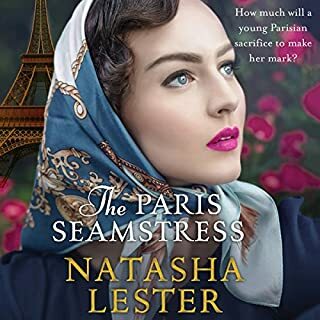 But disaster strikes, and Rosamund stands on the brink of losing all she has worked so hard to achieve. Fifty years later, Edie too is drawn to Milderhurst and the eccentric Sisters Blythe. Old ladies now, the three still live together, the twins nursing Juniper, whose abandonment by her fiancé in 1941 plunged her into madness. Inside the decaying castle, Edie begins to unravel her mother’s past. 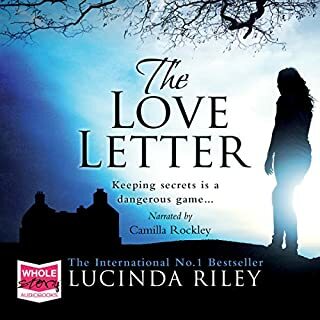 But there are other secrets hidden in the stones of Milderhurst Castle, and Edie is about to learn more than she expected. The truth of what happened in the distant hours has been waiting a long time for someone to find it. I couldn't even finish this book. 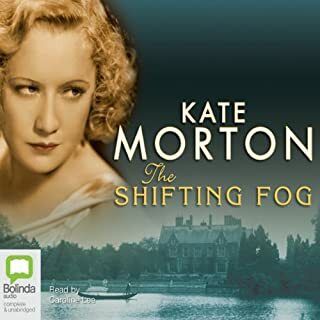 I have purchased two Kate Morton books before and would rate them 5 star plus. This book was a lot of words about nothing. Really enjoyed this well written story. Will try more Kate Morton in the future! I listened for hours at a time. Kate Morton's discriptive writing is superb. I'll be definitely listening to more of her books. Bit too cliche for my liking. The characters are all a bit annoying but they have interesting stories. It’s also quite a depressing story. Well narrated and I am sure would be loved by those who like in-depth characters and convoluted love stories. I love Kate Morton as a writer, but the storyline & characters in this book aren’t the slightest bit interesting! I gave up after 7 hours.. Normally a fan of Kate Morton and Caroline Lee but this book could definitely have been shorter. The beginning was very boring and parts of the story somewhat over and over and over explained! Caroline’s voice seemed bored with it all at times too. Not one I would bother re-reading any time soon. The first half of the book explained the story line however I felt this took too long. I kept hoping something would happen. when it did get 2/3rds through. I became interested and looked forward to a conclusion of the story. I struggled to stay interested, hoping the story would unfold. In the end I was surprised with the outcome. I would not listen to it again. What can I say? I have read all of Kate Morton that you have to offer and now feel a need for more. She is a brilliant story teller and the book, as usual, is narrated magnificintly. What did you like best about The Distant Hours? What did you like least? The concept of the story was what initially enticed me to chose The Distant Hours. I love anything to do with books, castles, and dark family secrets. 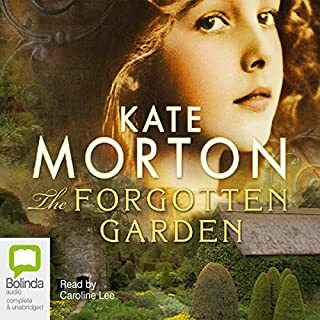 I have read Morton's The Forgotten Garden and really enjoyed it so I thought I would give another one a go and this book has such great reviews, how could I go wrong! However, this audio book fell a little flat for me. Like I said, conceptually this is a great story. It is entertaining and it kept me guessing the whole way through. What I didn't enjoy though was that Morton drags some parts of the story on for ages! I really wish she had cut down the parts about Milderhurst Castle during the war and maybe spent more time focusing on either Eddie's life, or the relationship between Raymond Blythe and his daughter Juniper. There is way too much unnecessary information pumped into the middle of the book and I had a hard time keeping interested in the story. The other thing that bothers me about The Distant Hours is the random sub-plots that do nothing to add to the essential story and feel like empty fillings instead of essential plot elements. One example being the hinted-at lesbian relationship between Percy and Lucy. It just seemed so random to me, as if Morton was just trying to throw in obscure elements for the sake of another plot twist. The book already has enough interesting plot twist to not need trivial ones. On the good side of things, I thought that the characters were all fairly well developed (except for Seraphina). I like it when an author can actually make me shout out loud and shake my fist at characters out of anger when they do something irritating (such as when Percy stops Seraphina from pursuing her dreams of leaving the castle). Overall a good concept and a decent enough performance, but very boring at times and some of the plot twists seem a bit forced. If someone is interested in getting into Kate Morton's books, I think I would recommend The Forgotten Garden first over The Distant Hours. this book is long. It is an experience meant to be enjoyed and savored all the way along. If you like excitement and fast-paced action, this is not the book for you. Kate Morton's strength is her ability to transport readers to another place and time and envelop them in the story. Her descriptions are vivid and detailed, her characters complex. As in her previous novels the Hidden Garden and The Shifting Fog, the suspense builds slowly. 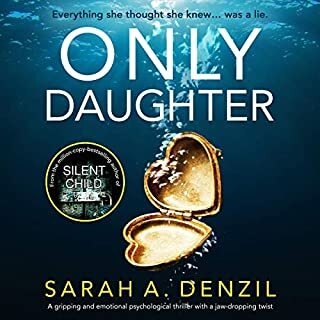 It took me some time to 'get into' the story, but once I did, i ended up racing to find time to listen to the last few hours, when the plot threads start to come together and I tried to figure them out. If you think you have solved the mystery before the end, don't be too sure, things are not what they seem. Morton deliberately leads the reader down several false paths before revealing the truth. Since this is the third of Morton's novels read by Caroline Lee, i simply cannot imagine another reader. 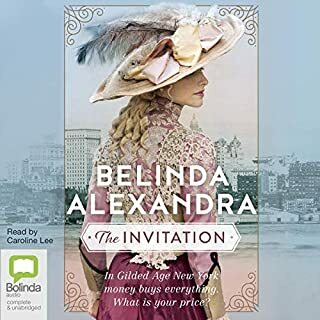 She personifies the style of Morton's novels, and does the characters' accents so well. I can't wait to read the Secret Keeper. This book is super duper long ...... which for me, is a huge plus with an audio book. Once you get going you never want this book to end! This is a lovely book that takes you back in time and is wonderfully written and red. 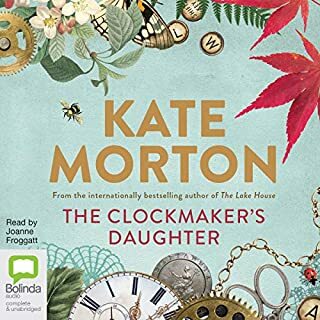 I thoroughly enjoyed this book and have now read all of Kate Morton's books and I'm hungry for more! it's just soo good! cate morton is amazing and Caroline Lee makes all her stories come alive! I am devastated that I've now finished all her books... what do to with my life now?!? What made the experience of listening to The Distant Hours the most enjoyable? 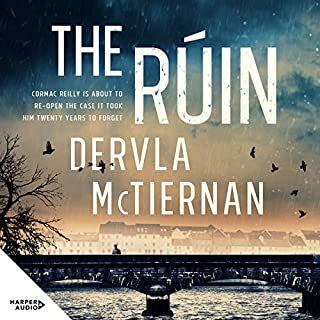 a very engaging story, had me hooked from the start, thought I had figured it out, but was delightfully surprised by the end. Meredith - fragile, full of wonder. Who was the most memorable character of The Distant Hours and why? Juniper - hard to say why. listened twice, wanted to catch things that I missed 1st time. 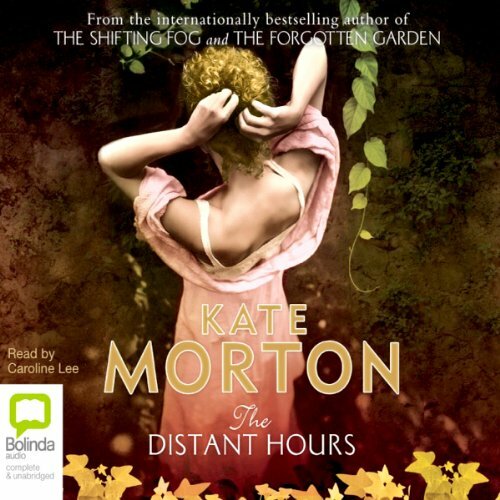 Where does The Distant Hours rank among all the audiobooks you’ve listened to so far? It is the first I listened, but a great way to beginning. You will not be disappointed. The voices that came to life. Persy Blyde, she gave you the wrong impression, but in the end she was a caring person. What would have made The Distant Hours better? What could Kate Morton have done to make this a more enjoyable book for you? This was my third Kate Morton book. I really enjoyed the first two and had high expectations of this one. It was just "ok" and I found myself bored. This book was very long. Had I read it instead of listening to it, I would have skipped over quite a bit. There were parts in the book that weren't necessary to the story - i.e Percy & Lucy as this never went anywhere. The relationship was hinted at without any real substance. 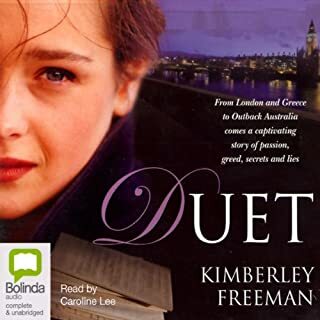 I would recommend reading this rather than listening to it, although Caroline Lee was excellent as a narrator and this is what kept me listening to the story. Would you try another book from Kate Morton and/or Caroline Lee? Yes, because I think Caroline Lee understand the author story, so the parthership between the two is perfect. Would you be willing to try another book from Kate Morton? Why or why not? Yes, I love this author, but this book isn't one of the best I listening. 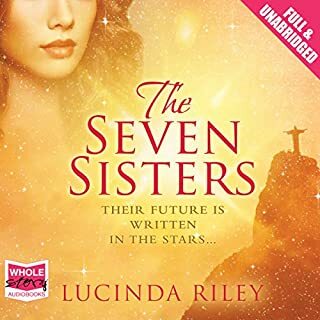 This story has some many secrets, and finish with everything being revealed so unexpectedly only to happen what happened with the three sisters? No. Kate Morton has better books than this. For example - The Lake House or The Forgotten Garden... This book, in my opinion, isgood, but there are betters. In my opinion, Caroline Lee has a tone that is appropriate to the rhythm daa story. she manages to capture the listener's attention and convey every emotion experienced by the characters. Was The Distant Hours worth the listening time? After all, yes. Although, for me, it is not one of the best Kate Morton books. This is a story of three sisters and their complicated relationship with each other, their parents, particularly their overbearing father and the people who move in and out of their lives as told by close observer's who happen to be mother and daughter. If it sounds hard to follow, that's because it is. 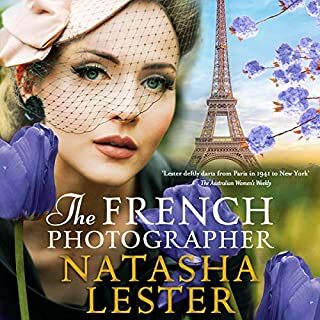 The characters are well defined by both the author and the narrator of the story, so that is not the problem but it is hard, towards the end of this really long book, to retain any sympathy for any of them. I kept wanting to scream "Get on with it"! But then I'm not noted for my patience. The other difficulty which is more specific to Audible books, is that the action flits backwards and forwards between WW2 (and sometimes before) and the present day. This can be confusing. Why it is most confusing in Audible books is that you have no visual reference point. In a book, you can refer to the beginning of the chapter or section for ease, in an Audible, that reference is not easily found. The other important relationship is that between the narrator of the story (Edie) and her own mother (Meredith) who spent time with the sisters as an evacuee during WW2. It is hard to understand why that device was brought into play, it added little to the story, but much to the confusion. The whole book is riddled with complexities and character flaws and mental ill health to the point where it was really difficult to find any joy and I just longed for the final paragraph and someone to please put me out of my misery. Which perhaps is a little harsh. Caroline Lee did sterling work narrating this epic and she has a beautiful voice but I can't help but think that someone with an Australian accent was wrongly cast playing the parts of English women during this era. I sometimes wonder if it's me that can't cope with complexity and after all, one woman's meat is another woman's poison, and trust me, there is an overindulgence of poison, hatred and bitterness in this novel. This book had me guessing and in the end, unusually, I was wrong. However it isn't a whodunnit, it isn't a mystery novel, it isn't love story - it's all three. 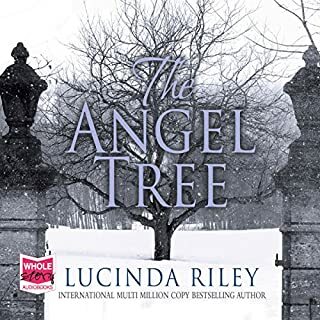 A beautifully written story that spans more than 5 decades it brings the characters to life so completely that you feel you could meet them in the street and know them at once.It broke my heart although in the end it was a happy ending. A masterpiece. My only fault, and a minor one, was the narrators difficulty in capturing the cockney accent, it came out a bit too Aussie. But that was a small price to pay for an otherwise faultless rendering. 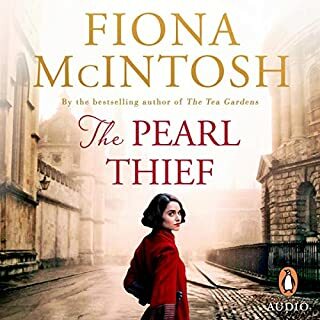 Story was gripping and well written but the Australian accent of the narrator, for characters mainly from London, was very off putting. I would of expected a narrator to use accents relevant for the story. 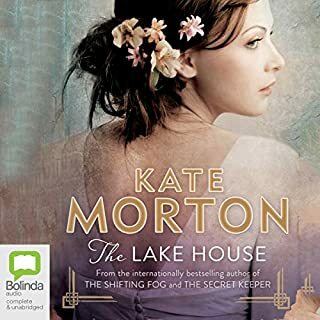 I found it very frustrating so much so, although I have read other Kate Morton books and enjoyed them, I will not be listening to any others with this particular narrator. 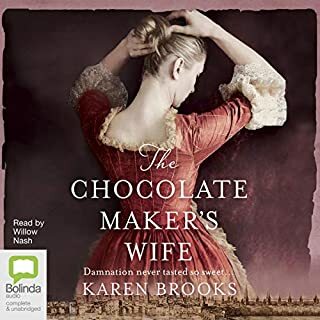 This is my third read from Kate Morton and I have the fourth book purchased from Audible in readiness for when I want a really good read. The story set up is the same in all the books in the sense that you are presented with a story with large bits missing and gradually the truth is revealed throughout the book and sometimes as in this one the impression you get of the characters and their actions is sometimes shown to be very misjudged once the full facts are laid before you. This book was really good and I enjoyed the way the story developed. 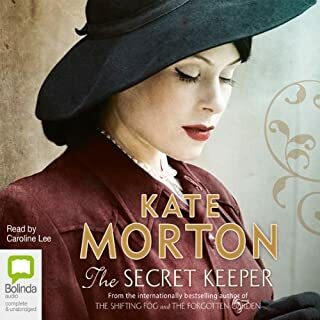 I would say that the best of the books by far and away was book 2 The Forgotten Garden I will always look for more books by Kate Morton and think her fab. This is a riveting listen. The book is haunting and evocative, with a meticulously plotted narrative which keeps you entranced right to the end. 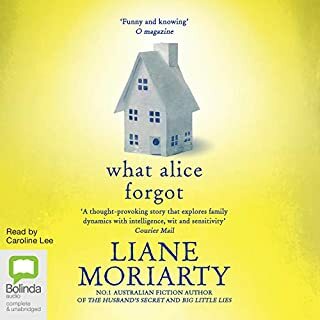 Although the Australian twang of the narrator seems a little incongruous at first, it is beautifully read, capturing the emotional range of the characters very well. I've been listening to this on my way to work and now it's ended I feel like my journey is much longer. Can't recommend it highly enough. Excellent book. I enjoyed the atmosphere and the unexpected twists. I listened to this as I drove around the area it was set and almost felt like I would stumble upon the village and castle. This is the best by Kate Morton story by far. I love the past and present blend. This book is set in places I know which as made it even more real. Absorbing story marred by the narrator's accent. What did you like most about The Distant Hours? I was gripped from the start. This is an extremely well-crafted story although I was always conscious of it being a story and didn't care quite enough for the characters as if they were real. What other book might you compare The Distant Hours to, and why? This felt like a conscious attempt at channelling the spirit and atmosphere of Charlotte Bronte/Jane Eyre into modern times. (Gothic horror/burning castles/mad people in attics etc). Although the complications of this plot transcended all. Caroline Lee is a superb, expressive Australian actor. I've loved her in other (Australian) works but for this book she was so wrong wrong wrong! 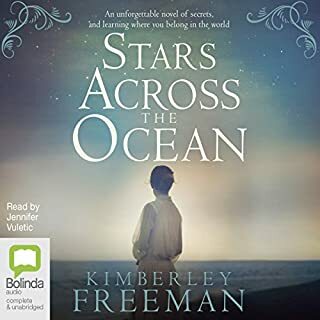 As the author is Australian it appears that they produced this audiobook for that market only. This novel takes place entirely in the south-east of England (London and Kent). This narrator can't do a decent English accent to save her life. However wonderful she is, her Australian accent constantly detracts and distracts. No, it's way too long and drawn out for that. Best to enjoy in smaller portions. Lovely story. Really enjoyed the story and the switching between the past and the present. Couldn't wait to listen to the next instalment. Loved it!